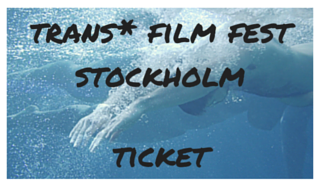 Tickets for Trans* Film Fest Stockholm are FREE & will be distributed on a 1st come, 1st served basis (one ticket per person) an hour before the event starts, from 12.30pm on Saturday 21 November. As Tellus Bio is a small, community cinema, there will only be about 85 tickets available. Reserved tickets for people travelling from outside Stockholm are all taken, however, any tickets not picked up at least 30 mins before the programme begins (by 1pm) will then be released to other people.